Choose recipient ...Lactalis Food Service EuropeFlorian Chatellier (Area Sales Manager (Germany, Austria and Switzerland)) Please choose a recipient. Lactalis Food Service Europe, a subsidiary of the Lactalis Group, 1st family dairy group worldwide, relies on the dairy know-how of the group with its 65 dairies, cheese factories and butter factories located in France, transforming the 5.6 billion liters of milk collected from 14200 producers. 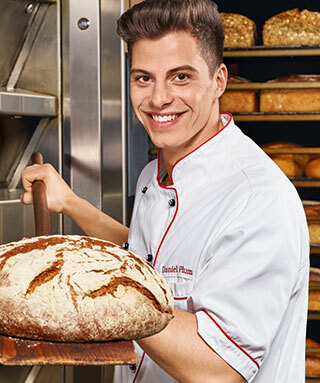 Lactalis Food Service Europe accompanies with passion for more than 20 years bakery professionals committed to giving them the very best, by meeting their specific needs.